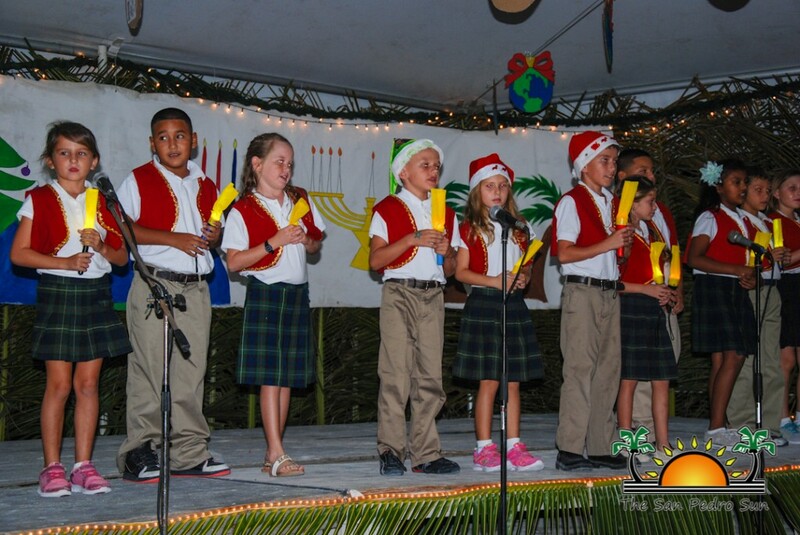 The students of Island Academy ushered in the 2014 holiday season with their highly anticipated annual Christmas program. 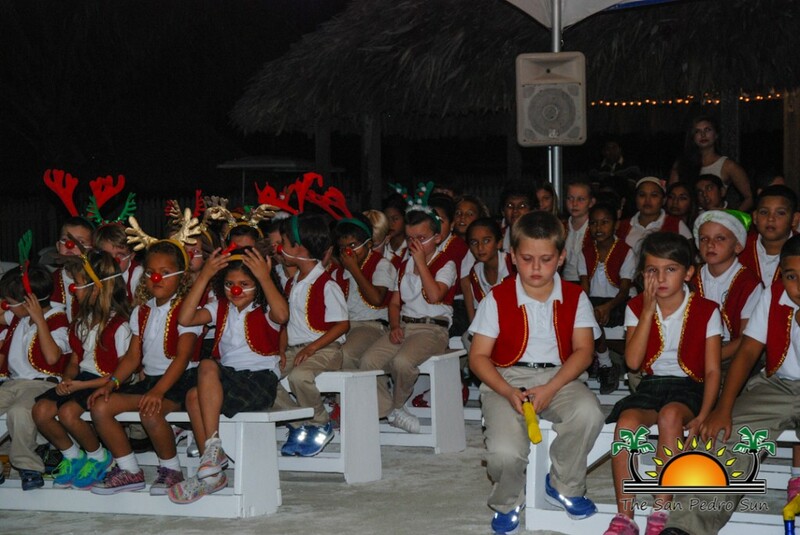 On Wednesday, December 17th, the students celebrated the cultural diversity within the academy and on the island with a dynamic presentation entitled “December around the World.” The acts showcased the various traditions apart from Christmas during the Holiday Season. 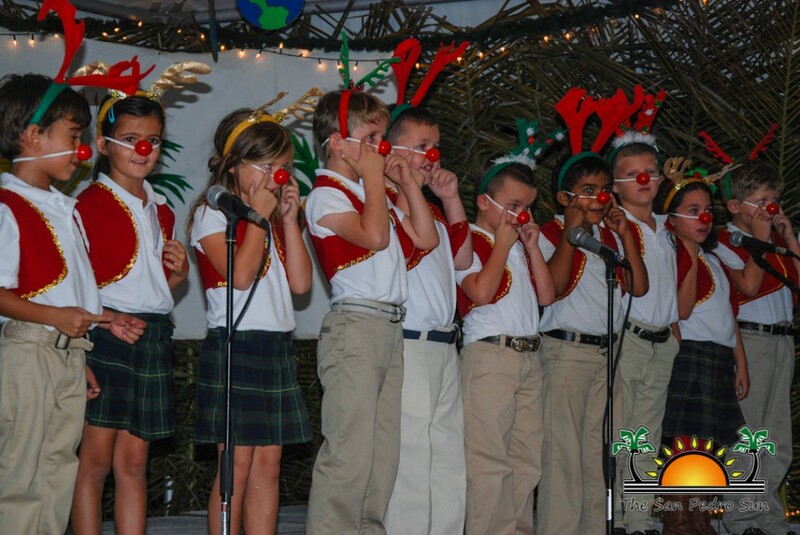 Teacher Lisa then led another set of performers to the stage, where it was all about letting your “light shine.” With lights in hand, each made their way to the stage as they presented the classic Christian song, “This Little Light of Mine.” The song performance was then followed by a series of poems which reflected the Christian principals of Christ being the reason for the season. Everyone present certainly reflected on the season and its meaning, and the applause was loud as the students’ exited stage left to make way for the grand finale. 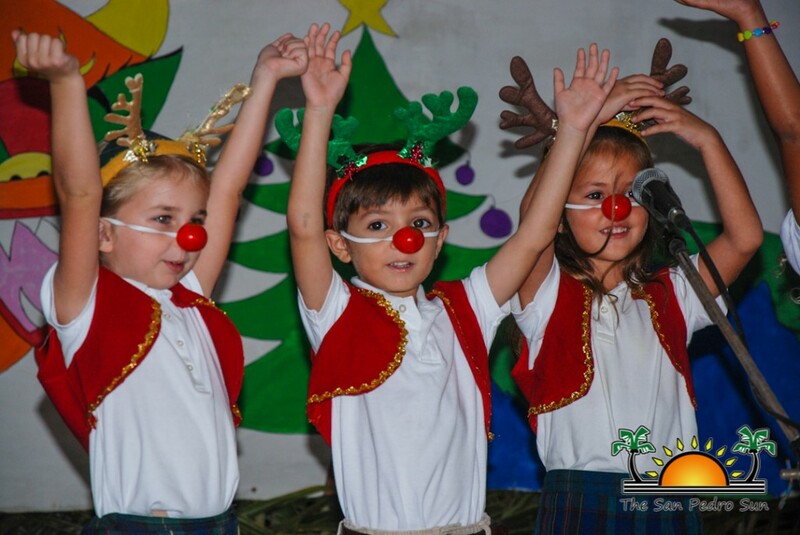 The entire student body came on stage to display the various holidays observed throughout the month of December. It was the perfect showcase of just how dynamic each culture is. 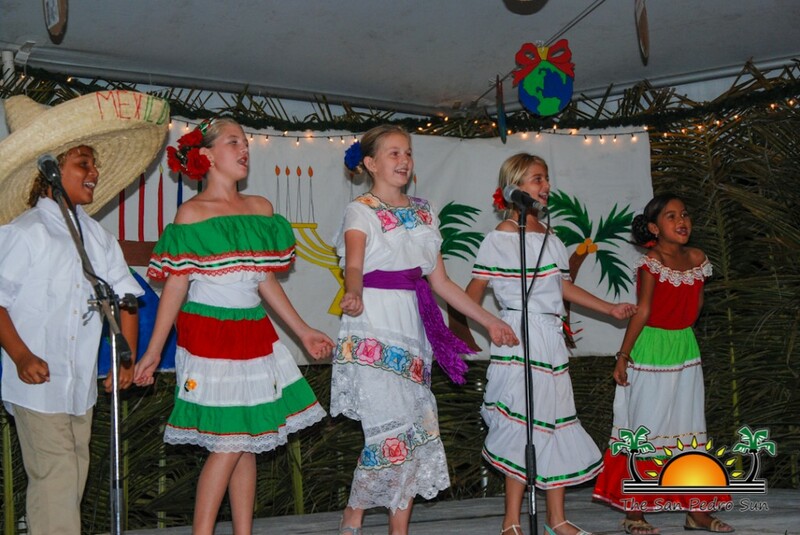 Through song and dance, the costumed students depicted Christmas, Hanukkah, Kwanzaa, The Chinese New Year, the German tradition of hiding a pickle in a Christmas Tree and of course Tropical Christmas in San Pedro. With song after song, the well-organized presentations proved to utterly dynamic. 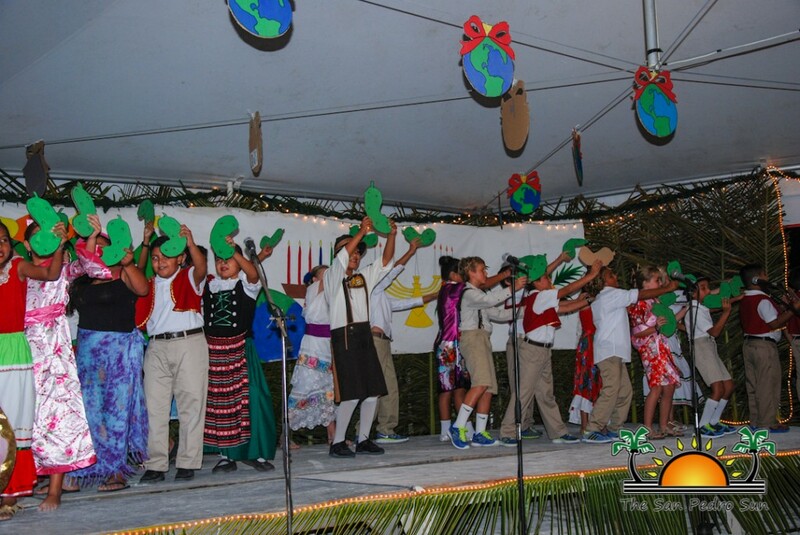 By the end of the grand performance, the applause rolled on as the students took their final bow. 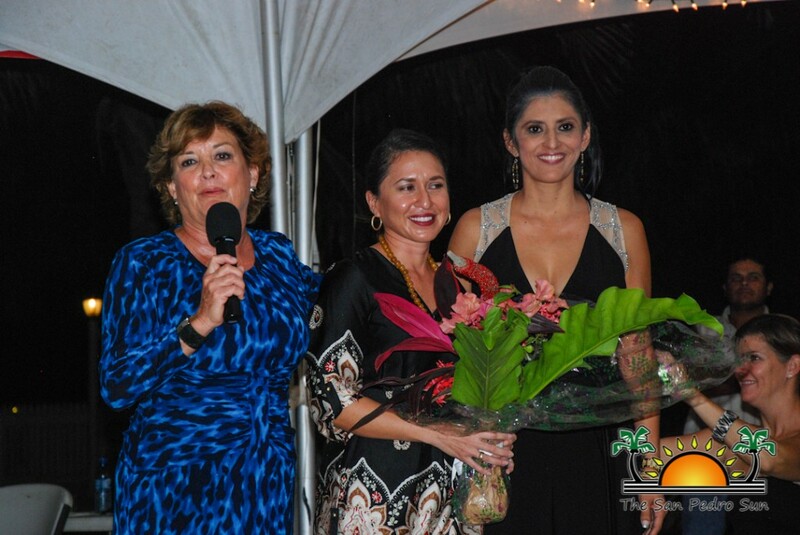 Lady Bowen thanked Teacher Barbara Cook, who was announced the mastermind behind the dynamic presentation. 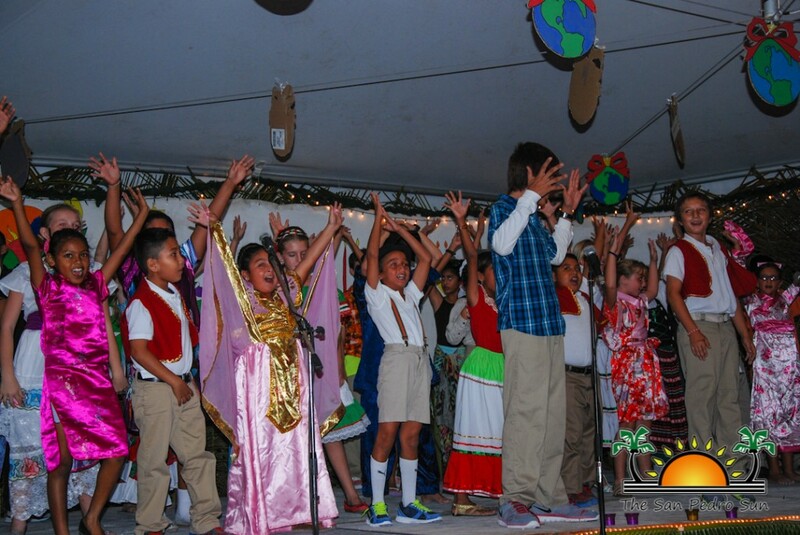 Before the night’s end, students and staff graced the stage one last time. 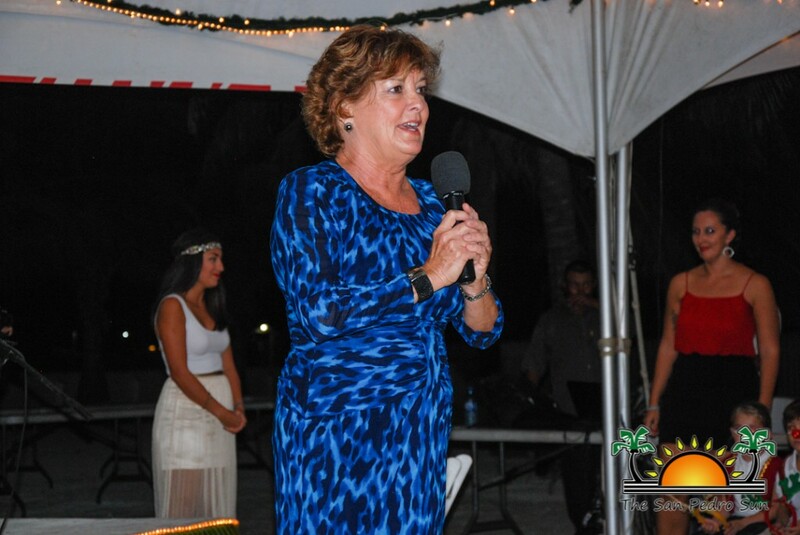 At the urging of Lady Bowen, everyone sang along to the classic “Feliz Navidad.” After a night filled with performances, everyone was invited to enjoy the cold refreshments, dinner and treats on sale for the evening. 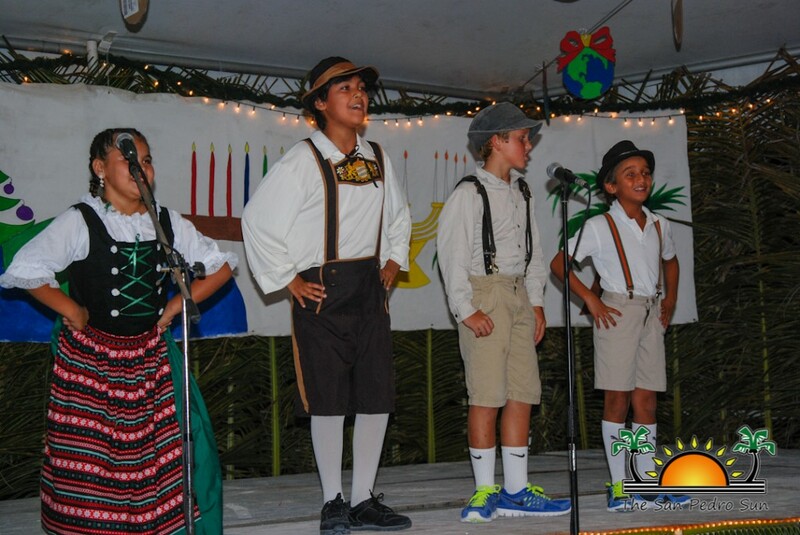 The San Pedro Sun commends The Island Academy for putting on yet another great Holiday show. 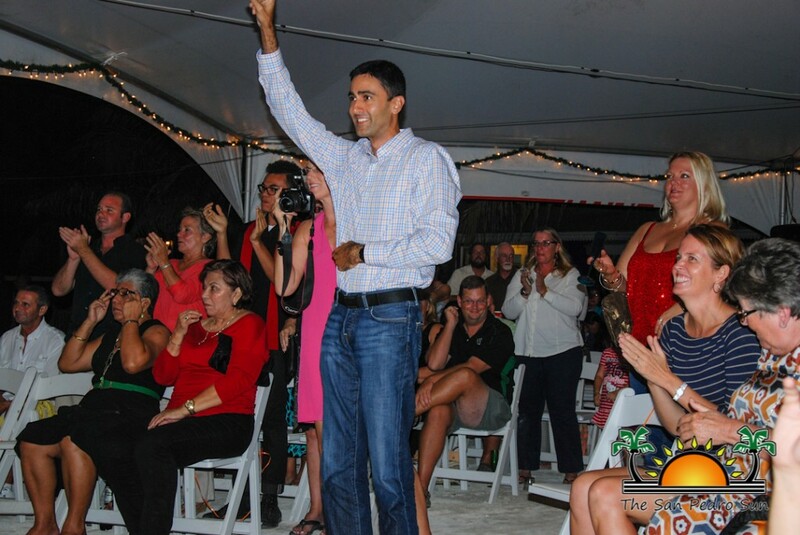 We can’t wait for 2015! Get ready for a tea party at Marbucks!